If you’ve ever been on a creative writing course, are thinking of going on one, or you simply love writing – then this book is the ideal companion. Most courses teach you the mechanics of how to write - choosing the right words, plot-building, developing characters and so on – which are absolutely essential, but are only half the ingredients of your novel, story, poem or play. 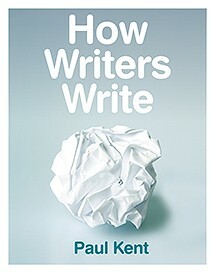 This no-nonsense, practical and approachable book supplies the missing half, helping you understand why successful writers make the creative decisions they do; in short, what goes on in their imaginations as perception leads to thought, and thought ultimately finds form in expression. Paul Kent has been professionally involved with writers and literature for almost thirty years, as commissioning editor for BBC Radio 4 Drama and the BBC World Service. He went on to set up Oneword Radio, the world’s first 24-hour radio station devoted to writers and writing, on which he interviewed hundreds of novelists, poets and playwrights. So perhaps not surprisingly, he’s now a writer too. His books are published exclusively by Creative Content Ltd.